Graphene is a one-atom-thick sheet of carbon atoms arranged in a honeycomb (hexagons or chicken-wire) crystal lattice. Researchers started to study Graphene in 2004, and since then they have found dozens of potential applications and exciting properties of this wonder material. Graphene is set to revolutionize a lot of industries, including sensors, batteries, conductors, displays, electronics, energy generation, medicine and more. Graphene is the strongest material ever developed - 200 times stronger than steel and tougher than a diamond. It's also the world's thinnest material, and it is flexible and transparent. Graphene is also the best heat and electricity conductor. As can be expected, the research community is very excited about this material, and the business world follows suit. The commercialization of graphene is just in its infancy, but already dozens of new companies have been established to develop graphene based material, graphene production processes and other related activities. There are over a hundred companies directly involved with graphene. Many of these companies are private start-ups in early-stages, but some pure-play graphene companies are public. The following sections will list some of those companies, and also some other investment ideas. 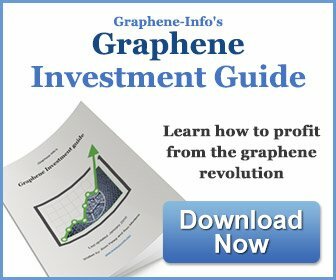 For a more in-depth analysis of the possibility of investing in graphene, and a complete public companies listing (there are over 15 of those as of early 2016), see our Graphene Investment Guide. Haydale (AIM:HAYD) develops and markets carbon materials under the HDPlas brand. The company is currently focused on graphene composite solutions, and the company also developed and supplies metal-free graphene-based inks. In October 2013 we posted an article explaining Haydale's business and technology. Applied Graphene Materials was established in 2010 as a spin-off from Durham University to develop a new graphene synthesis method and produce graphene materials. AGM's technology is a unique patented scalable 'bottom-up' CVD approach to produce graphene. AGM is a public company that lists in the UK's AIM stock exchange (AIM:AGM). AGM mainly targets graphene composites, coatings, lubricants, thermal management solutions and energy storage devices. In FY2015, AGM reported revenues of £41,000 (up from £4,000 pounds in FY2014) and a pretax loss of £4 million. AGM reported a significantly-broadened collaboration opportunity pipeline and provided over 120 evaluation samples to customers in more than 20 countries, and has plans to raise over £10 million. Graphene 3D Labs (TSX:GGG) is focusing on development of high-performance graphene-enhanced materials for 3D printing. The company was spun-off Graphene Labs with support from Lomiko Metals (who holds 15% of the company). In August 2014 graphene 3D Lab went public after a reverse merger with Matnic Resources. Several large and public companies (such as Samsung, Intel, Nokia, IBM and Sony) are involved in graphene research. These companies may be on the forefront of graphene research - especially in high-end fields such as electronics and photonics - but graphene, even if successful, will probably represent a small portion of their business. 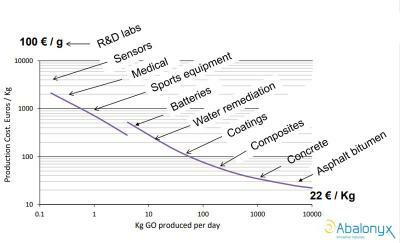 Another option is to invest in graphene production equipment. Aixtron AG, for example, is a provider of deposition equipment to the semiconductor industry who offers the BM Pro systems (previously called Black Magic systems) that can be used to deposit graphene using both chemical vapor deposition (CVD) and plasma enhanced chemical vapor deposition (PECVD). Aixtron trades in the NASDAQ (ticker:AIXG), but was recently acquired by Chinese fund. US-based CVD Equipment Corporation also offers graphene R&D and production equipment. CVD Equipment trades in the NASDAQ (ticker: CVV). Another popular alternative is to invest in graphite miners. Some these companies are also eyeing graphene - planning to start graphene production or investing in graphene related companies. Interesting companies in this industry include Mason Graphite, Lomiko Metals and Elcora Resources. Most graphite miners are based in Australia and Canada. Interested in graphene investing? 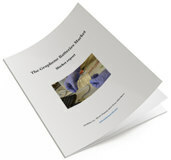 our graphene investment guide includes detailed information on over a dozen public graphene companies. 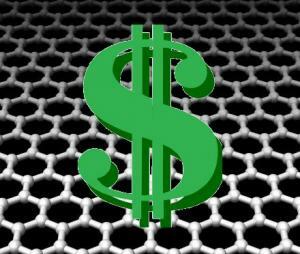 Graphene-Info hosts a discussion board focused on graphene investment. This is a great place to share knowledge and tips, learn of new investment options and news. Successful investment is all about knowledge! The forum is open for everyone - to join the discussion simply contact us and we will provide a user name so you can comment and launch new discussions.